A childhood dream is set to come true for Marco Wittmann: the reigning DTM champion is being given the opportunity to sit behind the wheel of a Formula One car for the first time in his career. During the official tests at the Red Bull Ring on 24th June, Wittmann will take to the track in Spielberg in a Scuderia Toro Rosso car, the 2015 STR10. BMW Motorsport was able to arrange this special Formula One test thanks to its excellent relationship with premium partner Red Bull. The drive in the STR10 is BMW Motorsport’s a way of rewarding Wittmann for the extraordinary performances he produced throughout the 2014 DTM season, which he crowned by winning the Drivers’ Championship. The Formula One test was just one of the surprises bestowed upon the newly-crowned champion by BMW Motorsport Director Jens Marquardt at the final race of last season in Hockenheim. 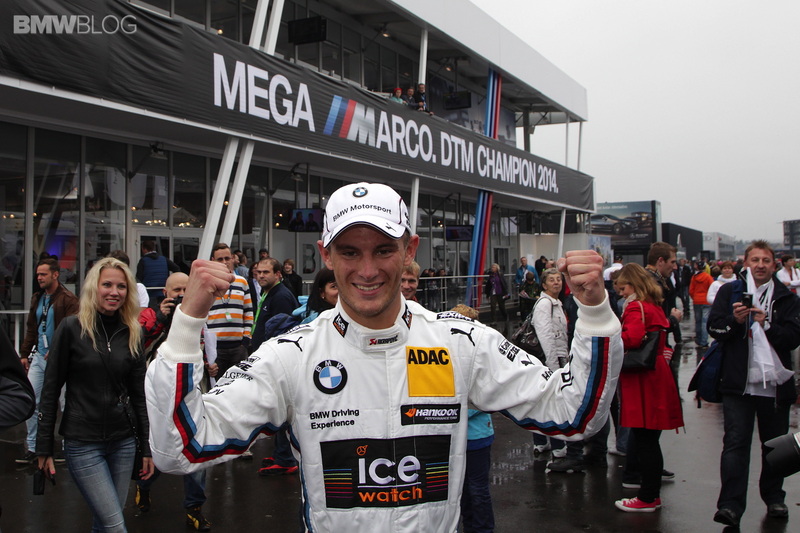 For his achievements, Wittmann was also honoured by launching the limited BMW M4 DTM Champion Edition.